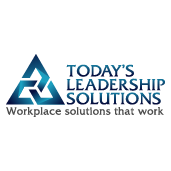 Your premier resource for tactical and strategic management training, performance management, and personal development for leaders. We train managers and leaders so that growing organizations can maintain their cultures, keep their great employees happy, provide career opportunities, and maximize their profitability. Managers are the first line of defense against fines and penalties, they are the ambassadors of the company to the employees, directly affecting engagement and turnover, and it’s managers who significantly impact revenue and profitability. And yet there is very little training available to equip them for success. This results in high levels of stress for the managers and the business owners in addition to unwanted turnover, reduced profitability and a lack of joy and fulfillment. We empower managers to learn skills and apply techniques so that your vulnerability to fines and penalties are minimized, you increase morale and engagement and reduce unnecessary turnover, and you optimize revenue and profitability. In addition, our personal development training teaches managers to overcome limited thinking in themselves and their team to break performance barriers and experience maximum fulfillment and success in their roles. We provide the owners and managers of growing businesses peace of mind by providing training and guidance in four key areas. Not sure what training is best for you? We also offer a suite of diagnostic tools and assessments so you can confidently identify your training needs. Contact Us today to find out how we can make your company the one you’ve always wanted.